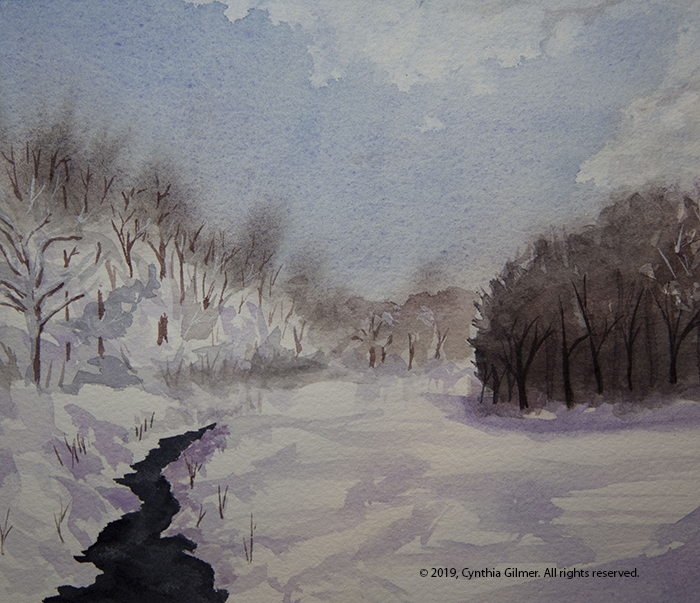 This entry was posted in Classes, Paintings, People & Organizations, Watercolor by OpusPlus. Bookmark the permalink. Thanks for the info on your class and the details of your paintings. You live in a great area for photography and painting. I think ‘water color’ is the hardest medium to paint in and yours are beautiful. Thanks for posting and sharing. Thank you for your kind words Greg. Excellent synopsis of the class. I wish I could’ve been there. So standing to do the watercolors? Unlike an oil which is sitting on an easel right? So does the paper lie flat? I liked the first painting more too. Nice study and much loser than your previous ones. The painting still sits at bit at an angle, but not vertical like an oil painting on an easel. For watercolor, I normally sit at a drafting table which is angled, but I may start standing over it part of the time. For oil paintings I stand at an easel.